We are manufacturer and supplier of excellent and high quality range of Refrigeration Units. This Refrigeration Unit is available in various sizes and specifications. It includes both air-cooled and water-cooled. 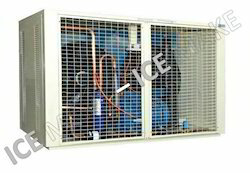 ICE MAKE unit is with best quality specially designed to be energy efficient, noiseless, easy maintenance and compact in size which gives the same performance for many years. Low noise, high efficiency and easy maintenance Refrigeration system offered by us are optimum for keeping food safe indefinitely and prevent cross contamination of food items. Condensing unit is available in GI powder coated with supportive angle frame. Evaporator unit is Aluminium/GI powder coated or fully S.S. Sealed & Semi-Sealed energy efficient Compressor. Air-cooled & water-cooled condenser as per customer requirement. Inner grooved Copper tubes & slit Aluminium fins for superior heat transfer. We are manufacturer of excellent and high quality range of Brine Refrigeration Unit. 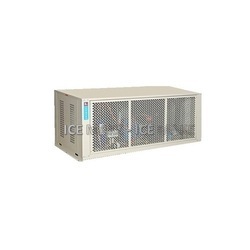 This Refrigeration Unit is available in various sizes and specifications. It includes both air-cooled and water-cooled. ICE MAKE unit is with best quality specially designed to be energy efficient, low noise, easy maintenance and compact size which gives the same performance for many years.